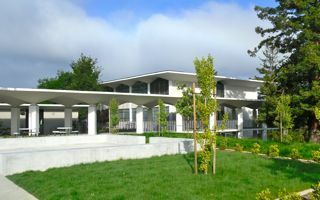 San Mateo Middle College is located at the College of San Mateo, 1700 West Hillsdale Boulevard, San Mateo, CA 94402. College of San Mateo, 15 miles south of San Francisco, is just off Highway 92, midway between Freeway 101 and Freeway 280. The main number for CSM is (650) 574-6161. The Middle College number is (650) 574-6536. The Middle College office is in Building 12, Room 206. Visit Map and Driving Directions for a CSM campus map. During the fall and spring semesters, the Middle College office is open from 8 am - 3:30 pm (Monday-Friday). The office will be open on a limited basis during the summer. Please call in advance to make an appointment.